For many people, retirement is a time to stop using an alarm clock, stop rushing out of the door to beat the rush hour traffic, and stop showing up at the office. It’s a time to restructure your life and focus on the things you would like to do. But before you can do what you like for the rest of your life, such as go to exotic places, meet interesting people, and do fun things, you have to save enough to take care of all your needs. You will have to take an active role in your retirement as you won’t be able to rely on Social Security alone. Unless you live with extreme frugality, it will not be able to keep pace with the cost of living. If you find that you’re not saving enough for your retirement, you’re not alone. Millions of people in this country find it hard to set aside enough money to retire well. There always appears to be more month than money. Fortunately, you can always invest as a way to fund your retirement. Five types of investments that can help you prepare for a comfortable retirement is to invest in stocks, bonds, annuities, real estate, or index funds. 1. Invest in the stock market: When you invest in the stock market, you can purchase and sell stocks on either physical or virtual exchanges. While the best-known exchange in the United States is the New York Stock Exchange (NYSE), there are 15 other exchanges you could use. It’s always a good idea to leverage the power of technology when investing in this financial market, as it makes it much easier to keep track of a large volume of market changes. Services such as Stock Earnings allow you to do your research by using proprietary software to predict price movements after companies have released their earnings reports. 2. Invest in the bond market: The bond market allows you to do over the counter trading through two organized electronic trading networks. One is the primary market. In this market, borrowers sell debt securities to lenders. The other is the secondary market. In this market, investors can purchase and sell debt securities that were previously issued. 3. Invest in annuities: One way to make sure that you receive money in your retirement is through an income annuity. This is an annuity contract that will pay you income after you have initiated a policy. Once you fund an income annuity, it’s immediately annuitized. How much you receive will depend on whether you have a fixed or a variable investment. 4. Invest in rental properties: When you invest in residential or commercial property, you can rent it out. Tenants will pay you for the right to occupy or use your property. You will also be able to get tax deductions on your mortgage interest and on property depreciation. 5. 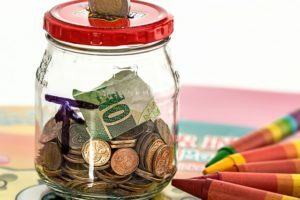 Invest in index funds: The nice thing about index funds is that you have a fairly good idea about what you are getting because you know what aspect of the market that you are tracking. If your funds are tied to the S&P 500, for instance, then you know that your return will match how much the S&P rises next year. You enjoy a reasonable level of stability because you know that your index funds will neither outperform nor underperform the market. The first thing you have to do is decide where you would like to invest. You could choose one or more of these investment markets. Next, you must learn how the market you’ve chosen works and how to keep track of changes. Finally, you must decide whether you want to use a brokerage to do the work for you or to learn how to trade for yourself. Generally speaking, even if you decide to use a managed investment, you should take some classes to understand the financial markets you’re investing in. This will give you a better understanding of how well the brokerage is serving you. When you retire, you suddenly have a lot of free time for such things as vacations and hobbies, but you also suddenly have a lower income. If your income is too low to support your lifestyle or pay for emergencies like medical bills, a reverse mortgage can help. It is a retiree loan that will allow you to receive money from a reverse loan lending agency on a regular basis. It differs from a regular mortgage because you will have the freedom to pay it back long in the future, as long as you stay in your home. No immediate or scheduled bills will be sent to you from the lender. When you do leave your home, the balance will be due, but you or your family members can choose to pay it or let the home be sold, with the lender keeping sale profits up to the balance amount. In closing, it’s always a good idea to invest in more than one financial market, as this will help you manage any market crashes. A diversified portfolio will help you avoid any unexpected surprises. For instance, if you have stocks and rental property, then if all your stocks fail over the course of a few months, you will still be earning an income from your tenants paying their monthly rent.